Battlefield 4 will release Fall 2013. 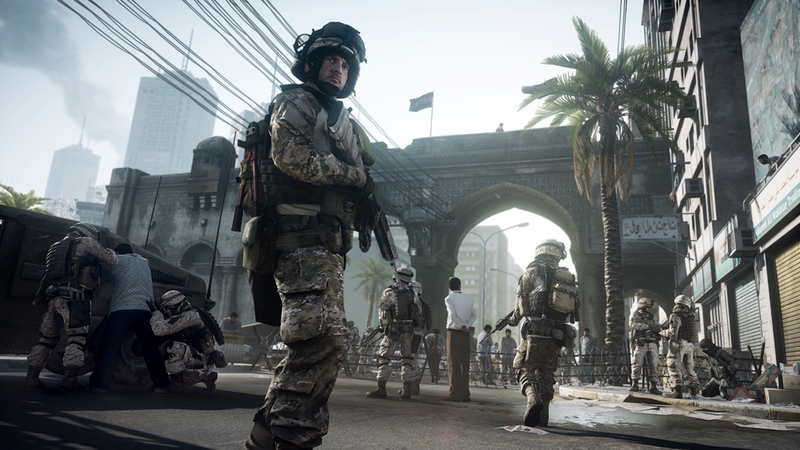 The “Fishing in Baku” video is shot entirely in-game and is the first glimpse of the human, dramatic, and believable single player campaign in Battlefield 4. Available for pre-order now. Battlefield 3™ End Game is one of five expansion packs included in Battlefield 3 Premium, together with a host of exclusive in-game items, early access, and more. End Game delivers some of the most high-speed warfare to date across four vast maps. Race through enemy lines using the new dirt bike, bringing speed and agility to the Battlefield, or fight back aerial assaults with the new lightweight AA vehicles. Coordinate lightning fast attacks and defenses in the return of the classic Capture The Flag game mode, or engage in massive dog fights in Air Superiority. In the skies, the new dropship introduces the ability to turn the tide with rapid deployment air drops of troop transports. Battlefield 3 End Game launches in March 2013 with 2 weeks early access for Battlefield 3 Premium members. Battlefield 3™: End Game is one of five expansion packs included in Battlefield 3 Premium, together with a host of exclusive in-game items, early access, and more. Witness Capture the Flag gameplay featuring the all-new dirt bike from End Game. Battlefield 3: End Game launches in March 2013 with 2 weeks early access for Battlefield 3 Premium members. Battlefield 3™: Aftermath is one of five expansion packs included in Battlefield 3 Premium, together with a host of exclusive in-game items, early access, and more. 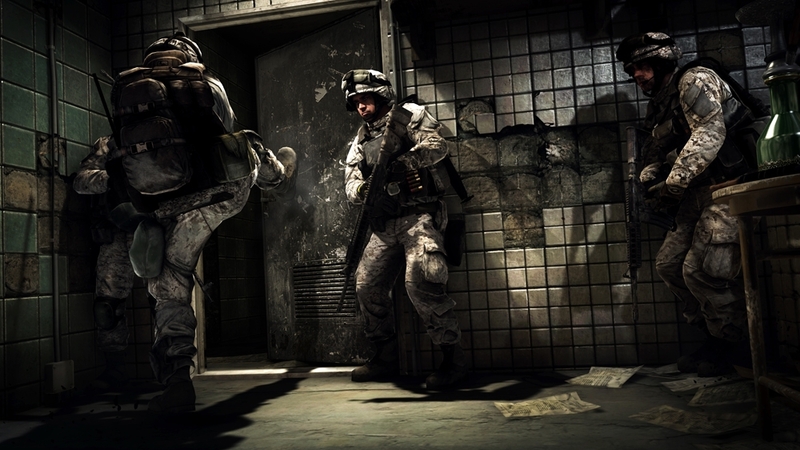 In Battlefield 3: Aftermath, players fight for supremacy in four new earthquake ravaged maps. Aftermath also features the new crossbow, three new modified vehicles, and the new Scavenger game mode where players, armed with only a pistol, search the environment for more powerful weapons. Plus, new assignments and dog tags to collect! Battlefield 3™: Armored Kill is one of five expansion packs included in Battlefield 3 Premium, together with a host of exclusive in-game items, early access, and more. Battlefield 3: Armored Kill ups the ante for vehicular mayhem as only Battlefield™ can do. Featuring 5 new drivable vehicles including mobile artillery, tanks, ATV’s and more. Spawn in on the gunship and rain death from above onto your enemies! 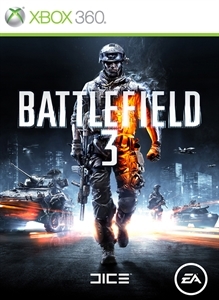 Battlefield 3: Armored Kill also features a new 'Tank Superiority' mode plus 20 vehicle unlocks and 5 new assignments Check out the premiere trailer showcasing all-out-war gameplay from the snow-capped Alborz Mountain to the open Bandar Desert, the largest map in Battlefield history! Battlefield: Armored Kill launches in September 2012 with 2 weeks early access for Battlefield 3 Premium members. This December, go back to the four most loved maps from Battlefield 2, boldly reimagined with enhanced destruction in the Frostbite 2 engine. In this trailer, witness the very first ingame shots from Strike at Karkand, Sharqi Peninsula, Gulf of Oman, and Wake Island, from the upcoming expansion pack Battlefield 3™: Back to Karkand. This expansion pack also features new weapons, vehicles, persistence, and the return of the classic Conquest Assault. 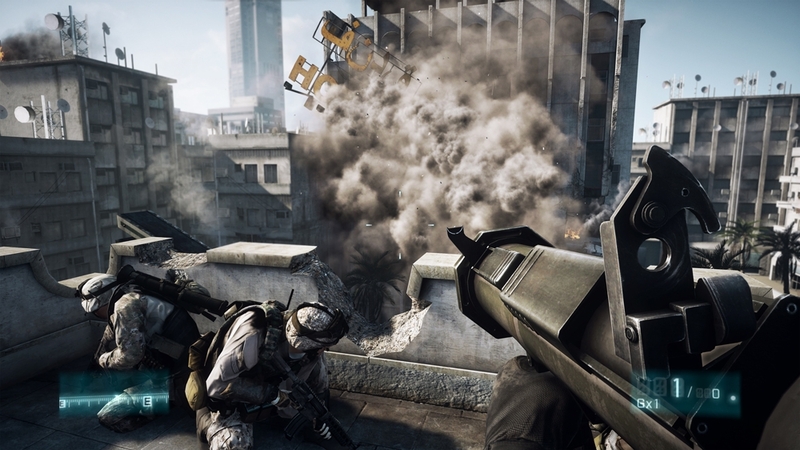 Winning over 60 industry awards, Battlefield 3 is out next week. Our launch trailer gives you a preview of the intense single player campaign. A sinister power is rising in the Middle-East, and Marine Sergeant “Black” discovers how far he would go to defend his country. Watch intense Battlefield 3 vehicle warfare -- including jets -- from our beautiful multiplayer map Caspian Border! This marks the premier of jet gameplay as played at GamesCom 2011. Caspian Border is a multi faceted, vehicle heavy map that exemplifies classic Battlefield gameplay. The power of DICE’s new Frostbite 2 game engine allows for spectacular breakthroughs in five key areas of game development. This trailer highlights these areas and reveals what you can expect to see and hear in Battlefield 3 as a result. This trailer was first aired on EA’s 2011 E3 press conference. 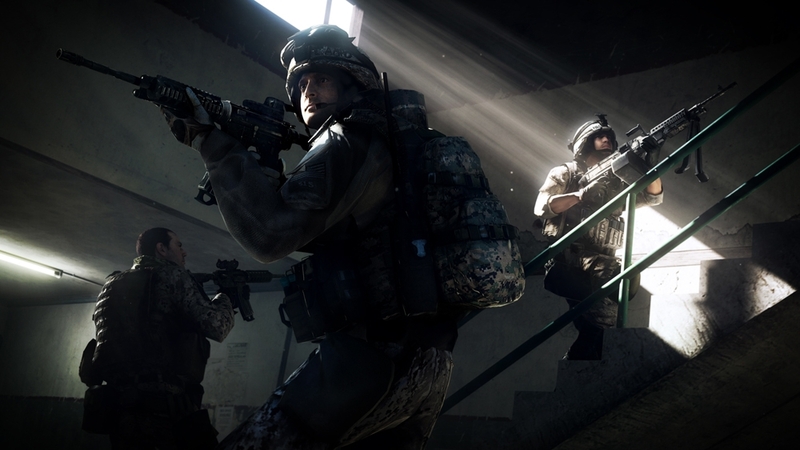 The first multiplayer footage from Battlefield 3 is here! Played in Rush mode on the E3 map “Operation Métro”, this trailer shows actual gameplay between the U.S. Marine Corps and Russian Spetsnaz forces in and around the center of Paris. This trailer was first aired on EA’s 2011 E3 press conference. 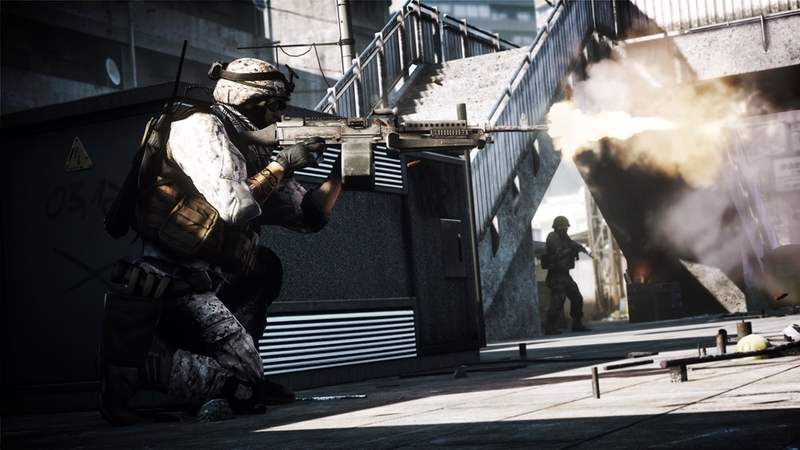 Watch 10 minutes of straight gameplay from Battlefield 3! This single player mission follows Sgt. Black and his squad as they engage hostile forces in Iraqi Kurdistan. 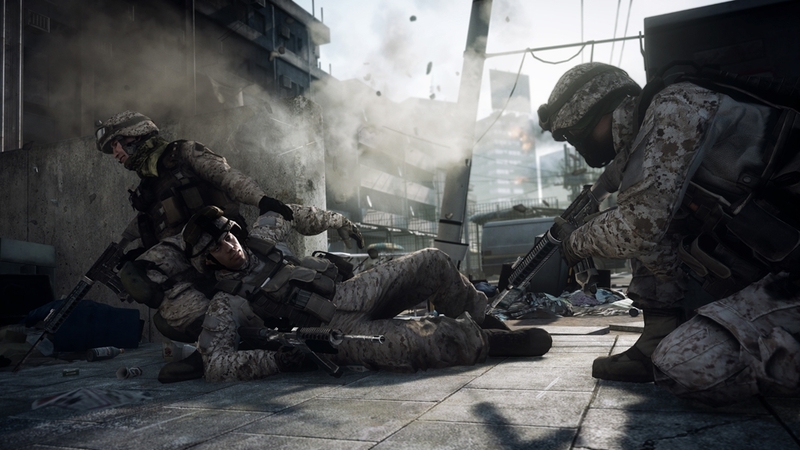 In Battlefield 3, players step into the role of the elite U.S. Marines. 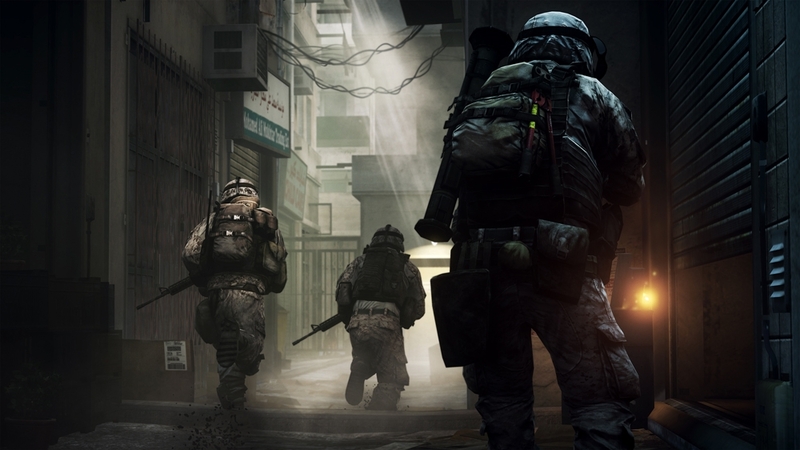 As the first boots on the ground, players will experience heart-pounding missions across diverse locations including Paris, Tehran and New York. As a U.S. Marine in the field, periods of tension and anticipation are punctuated by moments of complete chaos. As bullets whiz by, as walls crumble, as explosions force players to the ground, the battlefield feels more alive and interactive than ever before.